Please make sure that the school has an emergency telephone number in case your child is taken ill.
We can only allow medicine in school if it needs to be administered four times a day . 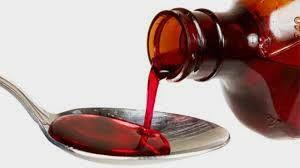 Please contact the School office if your child requires medication during the school day. Any medication MUST be labelled with the child’s name, class and clear instructions and be delivered to and collected from the school office by a parent. Asthma medication will be kept in the classroom. where serious consequences could result from the medicine not being administered. Medicine is out of date. It is parents responsibility to check dates and replace if necessary. Inspect the hair of all family members at least once a week. Encourage your child to brush/comb their hair thoroughly before school and at bedtime. Please do not send your child to school untreated! If nits are spotted in a child’s hair, we always send a letter or text home to the whole year group, requesting parents to check their child’s head and treat if necessary. Please open the PDF document at the bottom of this page for guidance on the wet combing technique. We high recommend the use of hair products (shampoo, leave in conditioners) which contain head lice repellent. These can be found in most supermarkets and chemists. If your child has sickness or diarrhoea, our policy is that they will need to be kept home for 48 hours after the last instance of illness. This is a usual procedure to discourage spread of infection. If your child is not well enough to attend school, please inform the school by phone as soon as possible.